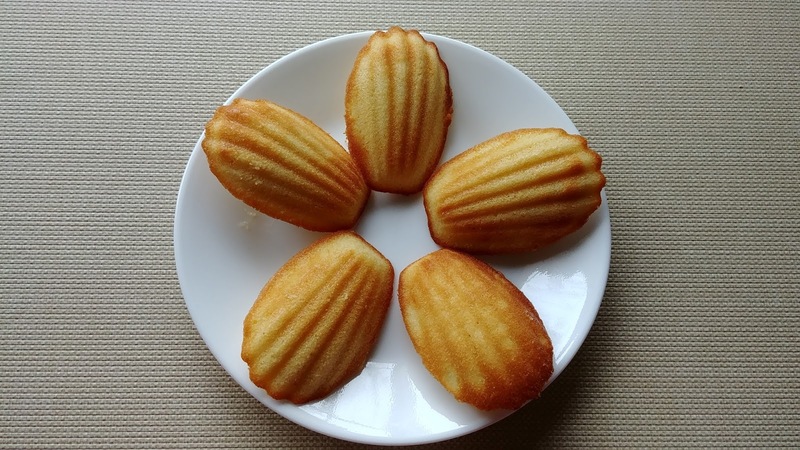 We love making Madeleines. 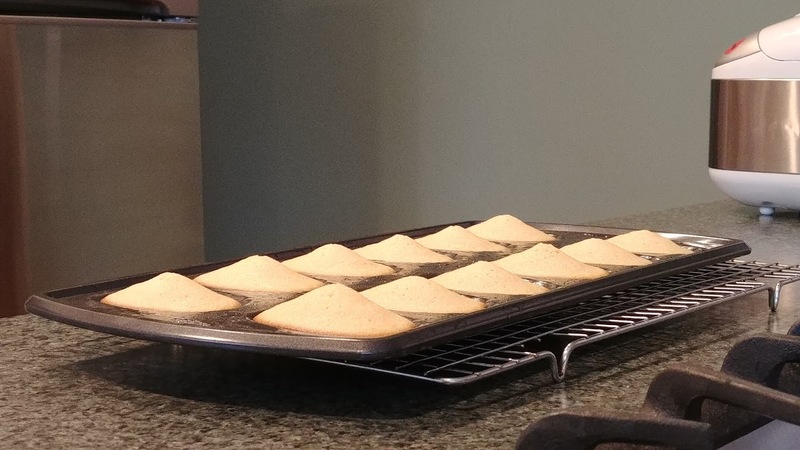 They're quick, easy, and the recipes make 24, which is a good amount for us for a week of dessert. It makes us pay attention to portion control so that the cookies last 6 days. That's four cookies a day. Two cookies a day for each of us. Not like at the holidays when we ignore portion control and hoover up 6+ cookies a day. 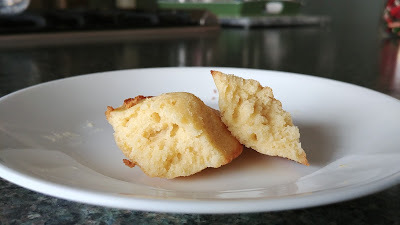 These little cake cookies are supposed to have humps - and these ones were definitely humpy! Light, tender and cakey inside. 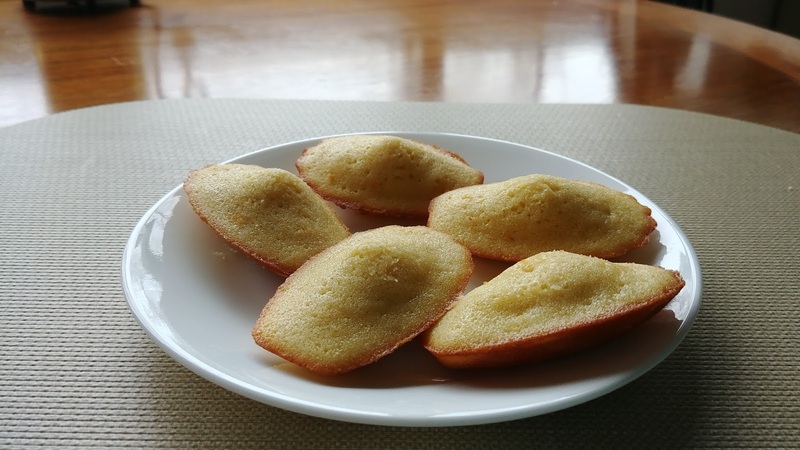 These Madeleines from The Perfect Cookie use cake flour (like the Williams Sonoma ones we once made). 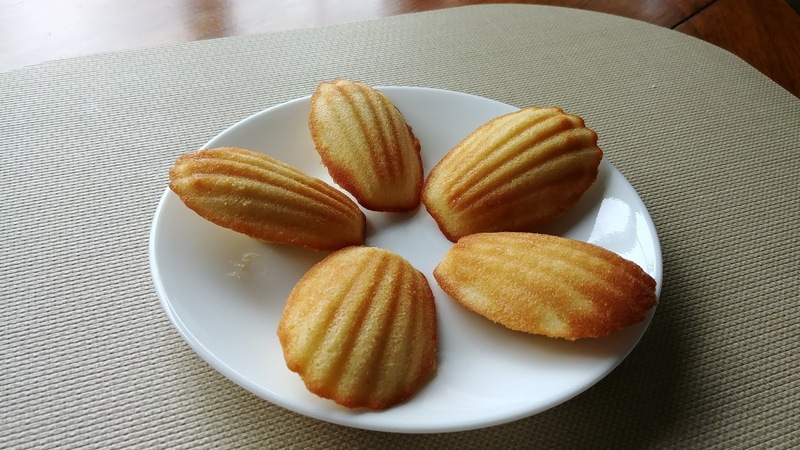 They were vanilla flavored, not lemon flavored like the ones we usually make. I don't know if I like these better than our usual recipes - all the vanilla and lemon madeleines we've baked have been delicious. The madeleines we've made that I didn't really like and wouldn't make (haven't made) again were Chocolate Madeleines and Espresso Chip Madeleines. The chocolate were OK but just not as tasty as vanilla or lemon while the espresso-cinnamon ones were just yucky. I remember we ended up dumping 3/4 of them in the trash. But these ones are yummy. Very yummy. As in didn't-last-six-days yummy. So much for portion control.